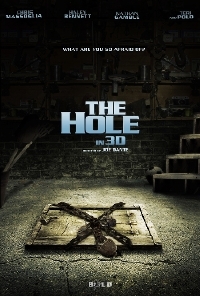 Like a lot of Joe Dante's work, The Hole looks like kiddie horror through and through with just the right touch of terror to make it accessible to older fans of his work. Thoughts will drift to 80s flick The Gate while watching this trailer, but the 3D angle could make it pretty cool. I'm also interested to see Nathan Gamble, a great actor who played the kid in The Mist. No release date seems to be attached to the film yet. Thanks to Quiet Earth reader Fabien for the tip! This looks like a Goosebumps/Eerie Indiana throwback!